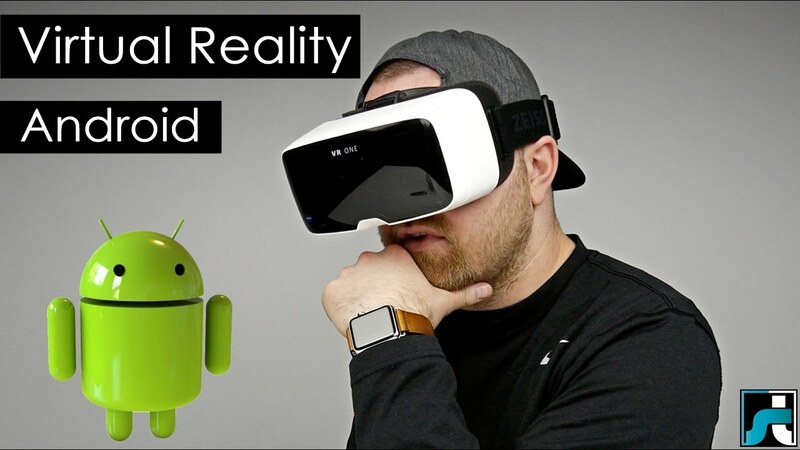 VR or Virtual Reality as we know it is something with which we can experience a different world through the virtual headset as being right there.Here are some of the Best VR Apps For Android. YouTube is no doubt the biggest and best video streaming website on the internet . It is owned by google itself. Therefore YouTube offers a lot of virtual reality content as well as 360 degree videos that you can enjoy using VR headsets.Besides that It offers many kinds of videos to full fill your dreams of being in the places you desire through the VR experience. This is one of the best VR player app ( VIRTUAL REALITY app ) which uses VR BOX or VR Headset and creates virtual reality effect like VR Cinema for creating an immersive and 3D SBS side by side vision.Besides that this VR app is very simple and easy to use and very small in size. It can play almost any video format except mkv.Besides that This virtual reality player is great to experience theater or cinema at your home.More importantly it has two options vr player mode and normal video player mode. Besides that it also runs 1080p Full Hd movies very smoothly. It also supports 2k and 4K videos without any lag and works really smooth. This VR Player app is very simple to use, because you just have to play the video in VR mode and put you mobile in your Google cardboard. Fulldive Virtual Reality is a Social All-in-One VR Platform. It is compatible on both Cardboard and Daydream headsets. It is also a social platform that allows you to follow what your friends watch, react, and comment on, and share your favorite reacted videos. Fulldive allows you to browse and view a new generation of media, such as watching 3D and 360 photos and videos, and also browse the Internet like never before. All of Fulldive’s content is from approved sources such as Youtube and Facebook therefore prohibits adult/mature content shown publicly. Which is also great for child protection purposes. • Photo Sphere: Look around the photo spheres you’ve captured. VaR’s VR Video Player is the ultimate VR player for virtual reality and 3D videos that gives you full control and supports all modes. Support for all modes, including: Stereoscopic side by side, stacked, 180º and 360º, panorama 180º or 360º and of course, normal videos. INFO: Google Cardboard or compatible Virtual Reality headset is required for an optimal experience. 6)KMPlayr VR (360degree, Virtual reality). KMPlayerVR is a newly released VR video player made by KMPlayer, which more than 300 million people around the world choose. • Besides that You can watch VR videos on the web just by its URL. • Support various VR formats such as mp4. • Support most VR headset devices including Samsung gear VR, Oculus VR, Baofeng Mojing and Mi VR, NOON VR, HTC Vive etc. Tours of landmarks from different parts of the world and Space. Besides that Examine the marvels of architecture,visit the museum, nature, religious sites, ancient cities and other places with more than a thousand 360 degree panoramic images in high quality. Go up the Eiffel tower, go inside Egyptian Pyramids and even visit Mars! You will feel as if you are actually there. Besides that You can also use this app to setup your viewer for all other VR apps too. InCell is an action/racing game with a bit of strategy and science thrown into the mix in a rare and highly unusual micro world of the carefully recreated human cell, therefore this is the right project to start your acquaintance with Cardboard VR or receive new VR impressions.Most importantly it is Compatible with View Master. Besides that it is also compatible with Fibrum, Homido, Lakento, Archos, and other Cardboard like headsets.